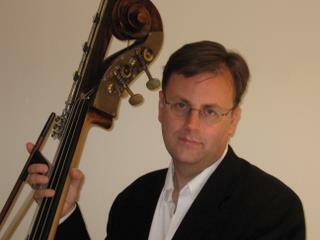 Tom Peters (double bass) is known for his interpretations of contemporary music. He takes a special interest in music for double bass and electronics. His concerts have been broadcast over Nordwest Radio in Germany. He has premiered solo works for the bass by composers such as Mary Lou Newmark, Alex Shapiro, Richard Derby, and Robin Cox. Tom is a member of ensembleGreen, Southwest Chamber Music, and the Long Beach Symphony Orchestra. He is a graduate of the Eastman School of Music, and studied with James VanDemark, Warren Benfield, and Jeff Bradetich. He has championed the mind-boggling difficulty of John Cage's 26��� 1.1499��� for String Player and is featured in a series of solo recitals in Pasadena's Branson Theater at Boston Court.